Much has been said about the sheer numbers of players Chelsea have out on loan. Currently, the figure stands at in excess of forty, with those out on loan scattered amongst the English divisions and also a fair few gaining experience on the continent. It remains to be seen just how many actually return to Stamford Bridge and establish themselves at the club on a permanent basis. Plus, when you throw into the mixer the inference that the football governing bodies want to restrict the number of players clubs send out on loan and it doesn’t take a genius to work out that Chelsea could be forced to offload a significant number of players. Today, lurking in the pages of the tabloid publication, the Sun, is the inference that one of those forty-plus players definitely won’t be returning to Chelsea Football Club. Our quoted source is inferring that Kasey Palmer, a 22-year-old midfielder, is wanted on a permanent basis by the club he is currently on loan at, Bristol City. Palmer has yet to make a Premier League appearance for Chelsea but did gain top-flight exposure whilst on loan at Huddersfield Town last season. 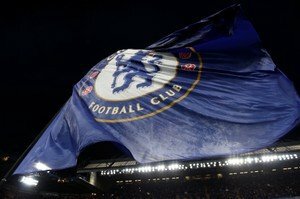 As for a reputed fee, our quoted source is suggesting that Chelsea will demand £4 million for the player. A case of another promising youngster not quite being able to get that breakthrough from being a promising youth player to becoming a regular in the first-team squad, at Chelsea, a number that grows by the month.